It turned out that the telecommunications company Inmarsat had the best, latest intelligence regarding the whereabouts of MH370 due to its Classic Aero service, transmitting ACARS data through its geostationary satellite constellation. The service was not designed for location tracking, but some innovative analysis extracted a probable search area. 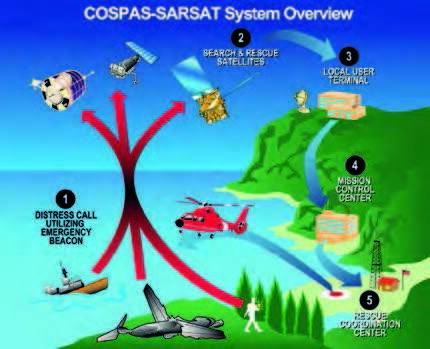 Inmarsat offers services that could have helped MH370 communicate better – but are airlines willing to use them? Emergency Locator Transmitters are placed in multiple locations aboard aircraft, designed to transmit location information when their vehicle experiences an impact. 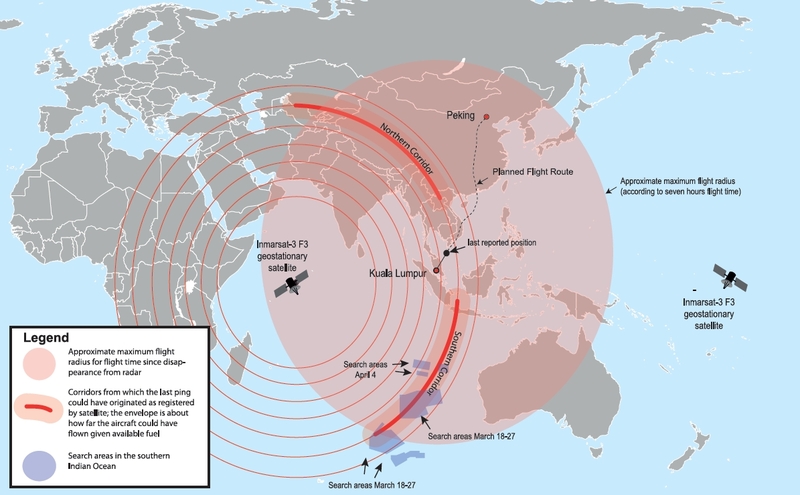 There were four of them aboard MH370 – and not one of them transmitted. This isn’t the first time these devices haven’t quite worked as intended, but some ongoing developments may improve that future prospects. When it became clear that MH370 was well and truly missing, the search for satellite imagery began. Remote sensing satellites aren’t usually deployed to track aircraft, mostly because they lack both the resolution and coverage that would be needed to identify the fast-moving vehicles. With a potential crash in the offing, odds increased and an unusual tool was activated to aid in the search: the International Charter Space and Major Disasters. MH370 lost contact with air traffic control, but how do planes usually stay in touch? 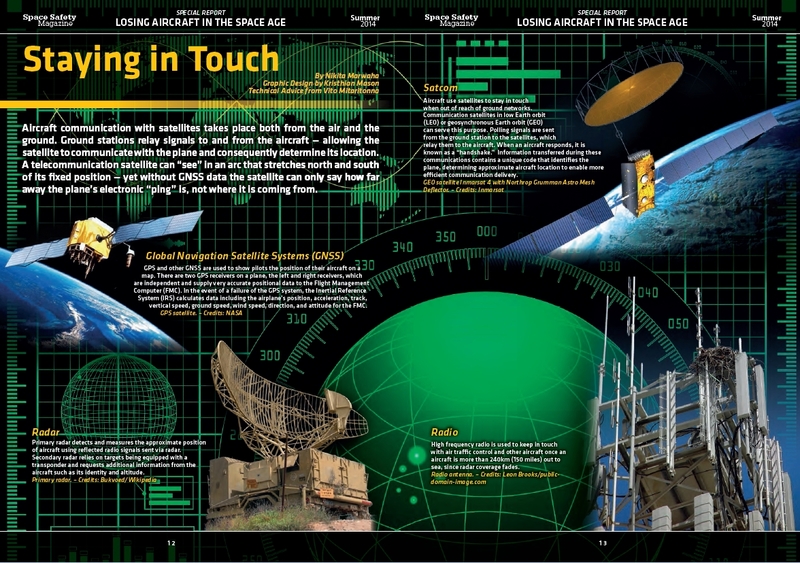 Radar, radio, navigation satellites, and communication satellites keep planes connected – for the most part. The loss of Malaysia Airlines Flight 370 remains a tragedy, but there is reason to believe it need never be repeated. Colin Brace of ESA’s Telecommunications and Integrated Applications Directorate peers into the future possibilities of satellite-based air traffic management. Aircraft face risks due to onboard equipment malfunction, flight conditions, and landing complications, but most people don’t stop to consider the hazards that fall from above. 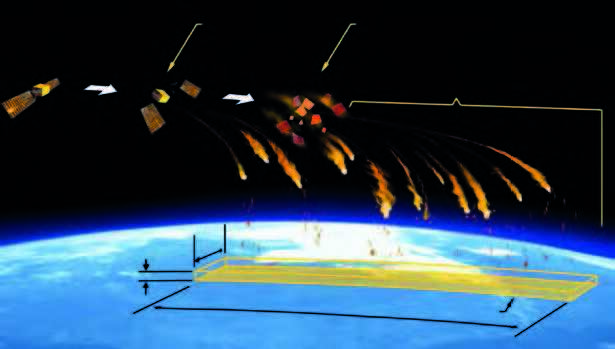 The risk of a meteorite or space debris object falling on an aircraft hasn’t exactly been calculated – but there has been at least one close call, and it’s inspired a new tool for assessing just such situations. To download the the special report, join the Space Safety community by filling in the form below.